This cute ski top is perfect for the cold days of winter! 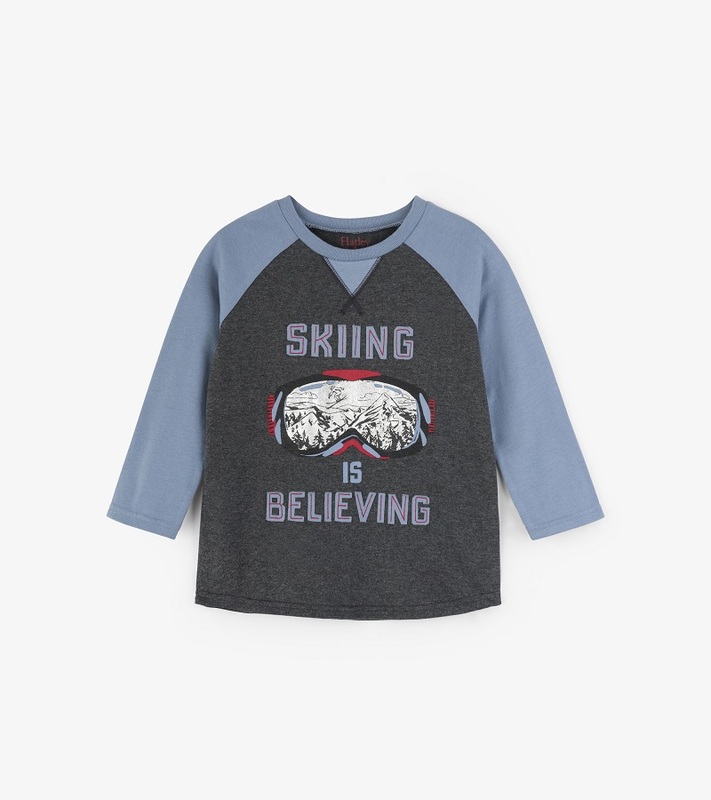 Raglan style tee features a metallic ski mask reflecting the mountains and a skier. Pairs perfectly with our Flannel Hoodie or Reversible Dino Vest and Charcoal fleece pants for a complete outfit. Body made of 50% cotton and 50% polyester; sleeves made of 100% cotton. Machine wash cold with like colors. By Hatley.